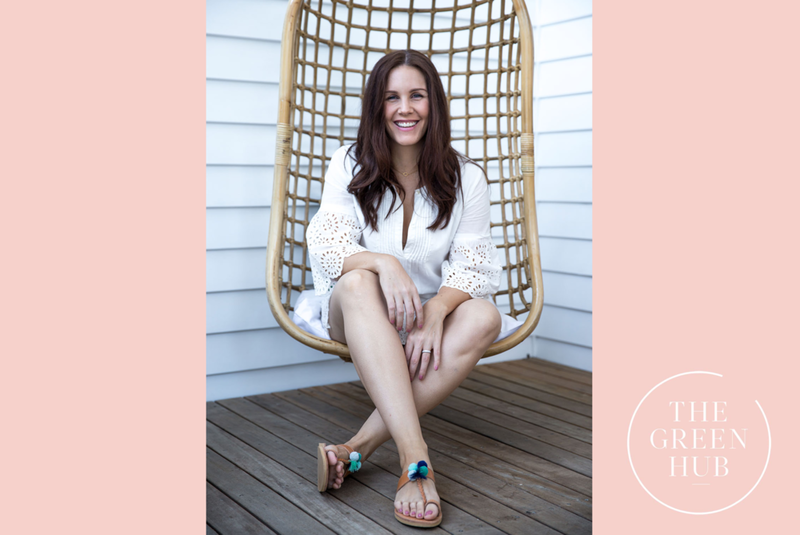 I'm so excited to introduce The Green Hub, a wonderful website covering all things sustainability and lifestyle, and the inspiring founder and driving force behind it, Kira Simpson! The Green Hub offers a wealth of knowledge and inspiration with articles about sustainable beauty, fashion, travel and more to help you live your best sustainable life. As you may already know I have recently become a style contributor on The Green Hub thanks to connecting with Kira over social media. Kira has been a big inspiration for me on this journey when it comes to looking beyond my wardrobe and creating a more sustainable lifestyle as a whole, so it's an honour to share her story. I'm sure she'll provide inspiration for you just as she has done and continues to do for me. 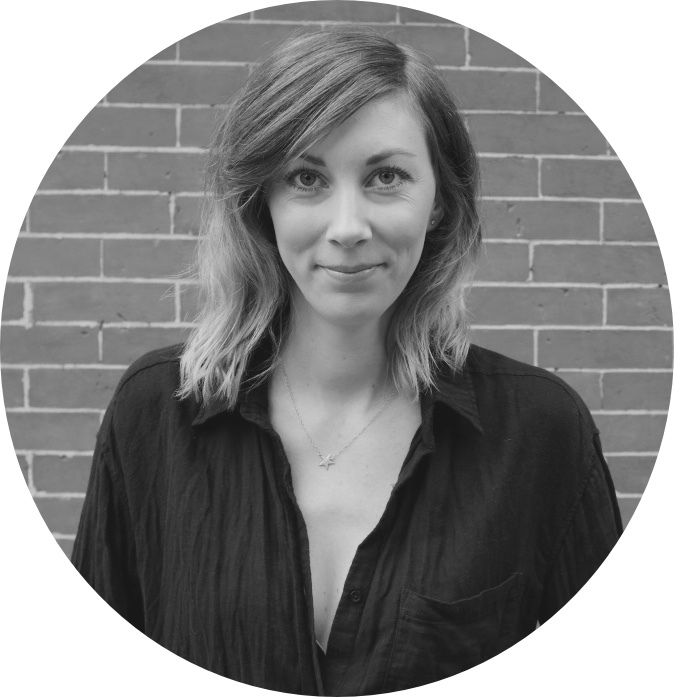 So dive in as Kira discusses her journey so far, how The Green Hub came to be and dishes her best advice on how sustainable living can be achievable for anyone! What inspired you to live a more sustainable lifestyle? I studied biology and environmental science at uni. It opened my eyes to some of the major issues facing our planet, but my lifestyle changes didn’t really start until a few years later. Using natural cleaning products was the first change I made, followed by investing in a reusable water bottle and coffee cup. The rest just followed from there. Why did you decide to start The Green Hub? While writing an old failed blog, I came across other eco bloggers on social media who wrote about ethical fashion. Here I was being an awesome greenie using my KeepCup and writing about climate change. I was like, what on earth is ethical fashion?! It was a pretty shocking discovery. That was kind of the turning point. Updating my wardrobe and discovering new ethical fashion brands was really the catalyst for starting The Green Hub. How do you balance living sustainably with an urban lifestyle? I’m all about convenience so I implement systems which work for me and my lifestyle. I rent so my compost system is easy to use and portable. I have no interest in growing my own food so I buy in season produce locally from farmers markets. I love skincare and makeup but I’m terrible at making my own beauty products, instead I support mostly Australian made natural and organic beauty companies. The balance comes from making sustainable lifestyle choices which work for me, without sacrificing the things I love. How have you implemented sustainability into your wardrobe? Supply chains are a complicated business and finding a fashion brand who can trace their entire supply chain from seed to garment is rare. In a perfect world, complete transparency would be the norm but until that day comes, I’m satisfied with tier one factories (where the final garment is made) certified as being clean, safe and the workers are paid a fair and living wage. I (mostly) look for clothing made from natural fibers such as cotton, linen, hemp and vegetable tanned leather. If I can’t find these then I’ll buy from brands using deadstock or recycled fabrics. I buy for durability and longevity. I will always choose ethical and sustainable brands first. But, if I can’t find something, say a pair of shoes I need, then I purchase from the not so ethical brand. There’s no point buying an ethically made piece if it’s just going to fall apart after a few wears and end up in landfill. Which is why I buy leather bags and shoes because most vegan leather is just plastic. I buy second hand. It’s not always my first choice but a great, cost effective option for when I can’t find what I need new or affordably. I don’t follow trends and buy clothes which suit my body type and my lifestyle. I live in Queensland where it’s hot most of the year and I also work for myself. I live in loose cotton dresses and have a stupidly large collection of straw bags. I’ll still be wearing these long after Instagram influencers have moved onto the next trend! What would you say to someone who wants to live more sustainably but is finding it overwhelming? Start small. Make one new change every week or month and don’t be too hard on yourself when you have setbacks, because you will. Even the most seasoned ‘greenies’ fumble and falter. Also follow blogs, sites and social media accounts of people who have started making the changes you want to make and connect with people on a similar journey. Having a support network helps! To build your network of support for your sustainable journey let Kira lend a hand and check out The Green Hub website, sign up to the newsletter and follow their social media accounts for ongoing inspiration. You know when you're reading a book and you can't put it down but at the same time you don't want it to ever end? Well this was one of those books for me, it nourished my soul and had me so engrossed that I almost purposely read slower to soak up every word! Author, Clare Press, brings to Wardrobe Crisis a wealth of knowledge from her long involvement in the fashion industry, working as a fashion designer, brand consultant, editor and columnist, and currently heading up Marie Claire magazine in Australia. With this intrinsic understanding of the industry combined with inside connections Clare has put together an educational and inspiring read covering all things relevant to the fashion industry today...sustainability! How did we get here? As Clare examines the current state of fashion, in the witty and insightful way I've come to admire as her hallmark, you're taken on a journey of shock, disbelief, understanding and finally empowerment to disrupt it's current direction. Delving way back to the beginnings of this booming industry and the inception of different fabrics and garment construction processes (did you know the story of silk discovery claims it was by accident! ), Wardrobe Crisis takes a deep look at the path that lead fashion, and consumers, to where we are today. Gain a greater understanding of the implications of fast fashion and what we face if we continue down this path while also hearing from an array of industry insiders that, due to their varied experiences and viewpoints, allows you as the reader to determine your own position and how you will contribute. Rather than painting a very grim picture of fashion, which could easily be done, Wardrobe Crisis paints an easier to digest but also very real picture. This book will definitely leave you with at least one, but most likely many, take aways to inspire change in the way you shop and view your clothing. Author Emily Spivack's fascination with the stories behind our most beloved items of clothing is one that goes back many years. It began with her love of vintage objects and a curiosity about their former lives. This sparked the creation of her blog Sentimental Value to document the more interesting stories about vintage clothes and accessories she discovered on Ebay. Over 60 of Emily's clothing related tales were published in 2014 in a book called Worn Stories which is now also a website where you too can contribute your story of an article of clothing that has special meaning to you. The book documents our relationship with clothing in a collection of short stories from musicians to fashion designers, everyday people to the extraordinary. It's a lovely and easy read that shines a spotlight on the significance and meaning our clothing can hold as sentimental and sometimes self identifying objects. Like the author I've never been all that sentimental about my clothing or thought too much about the stories behind them. But for the storytellers in this book certain pieces of clothing spark memories and emotions that are so strong and have such an array of capturing meanings behind them. These tales inspired me to not only take more pride in my clothes and view them in a higher regard but also to create stories around them. If we hold on to and really wear and live life in those special pieces imagine how much more meaning they will have. This book bridges a connection with our clothing that has long been lost in the era of fast fashion. I read the kindle version but would highly recommend getting your hands on a copy of this book to take advantage of the colour images of the subjects of each "worn" story. Full disclosure, my decision to watch this thought provoking documentary by Joshua Fields Millburn and Ryan Nicodemus, or as they're better known, The Minimalists, was not based on an overwhelming desire to suddenly become a minimalist. Rather, a sense of intrigue about this lifestyle that seems to be picking up momentum as we're faced with a society that insists on moving faster and faster in every way, especially when it comes to consumption. "Minimalism is a tool we use to get rid of the excess stuff in our lives to make room for the essentials. Minimalism allows us to focus on what’s important in life—health, relationships, passion, growth, and contribution—so we can find happiness, fulfillment, and freedom." The documentary follows The Minimalists on their book tour and collates stories and interviews with other minimalists that are approaching the lifestyle in their own way. The greatest impact for me came from the shockingly high significance we as a society have placed on our stuff because of its supposed ability to bring us happiness...how have I not fully realized this before?! This idea of believing things bring us happiness was touched on briefly in The True Cost documentary, but combined with the idea of minimalism a new light was shed on just how wrong the notion is. As the minimalist story developed I started to look at consumption in a fresh light and realize that it's not a negative thing, it's actually necessary; it's being honest with ourselves on each item serving a purpose in our lives that's really important, and where we seem to have the most trouble. Throughout the documentary I was pleasantly surprised and somewhat relieved by the realization that, much like approaching a more ethical and sustainable wardrobe, the minimalist journey is a personal one and there are no rules! I don't intend to live a completely minimalist lifestyle after watching this documentary, but I do intend to constantly hold myself accountable and work towards consuming only what I perceive has use and purpose in my life. This incredible not for profit organization is dedicated to bringing people together to create positive change in the fashion industry by raising awareness of the true cost of fashion. Fashion Revolution was founded by Orsolsa de Castro and Carry Somers on the day of the devastating Rana Plaza factory collapse in April 2013 which killed 1,134 garment workers and injured over 2,500 more. The anniversary of this tragic event now marks the beginning of the annual Fashion Revolution Week which unites people from all over the world to use the power of fashion as a force for good. Various events, from movie screenings to panel talks, take place around the globe and consumers are encouraged to use the #whomademyclothes on social media to continue to hold fashion companies accountable. There are also a host of resources available on Fashion Revolution year round to help educate and inspire you to become a fashion revolutionary, it can be as simple as starting with your own wardrobe and getting on board the haulternative initiative. The organization also recently released their very first fanzine. Money, Fashion, Power is full of interesting reads from the stories behind your clothes, to what the price you pay for fashion really means and how you have the power to make a positive difference with your purchases. Mark your calendars and check Fashion Revolution for events happening in your area, getting involved is as easy as showing your label and asking the brand #whomademyclothes on social media.